If you've got breakfast and brunch fare on the brain, you're in luck: we've found the freshest New York City eateries to quell your cravings. Here are the newest places to check out the next time you wake up with an appetite. Pastrami Queen is a deli and kosher breakfast spot that recently opened its doors at the Pearl Hotel. The restaurant offers sandwiches, soups and salads. Yelpers recommend the pastrami sandwich on rye bread with coleslaw. Sides include french fries, potato pancakes, matzo ball soup and more. Pastrami Queen's current Yelp rating of four stars out of 13 reviews indicates the newcomer is getting solid feedback from customers. Chuq Y., who reviewed Pastrami Queen on March 17, wrote, "The service was attentive and one of the gentlemen was walking around singing along. The decor reminds me of a bright oldies diner style. I'd come here again for sure." And Yelper Theresa H. wrote, "Great location. Great people. Delicious food. Highly recommend. Sit at counter for full experience." 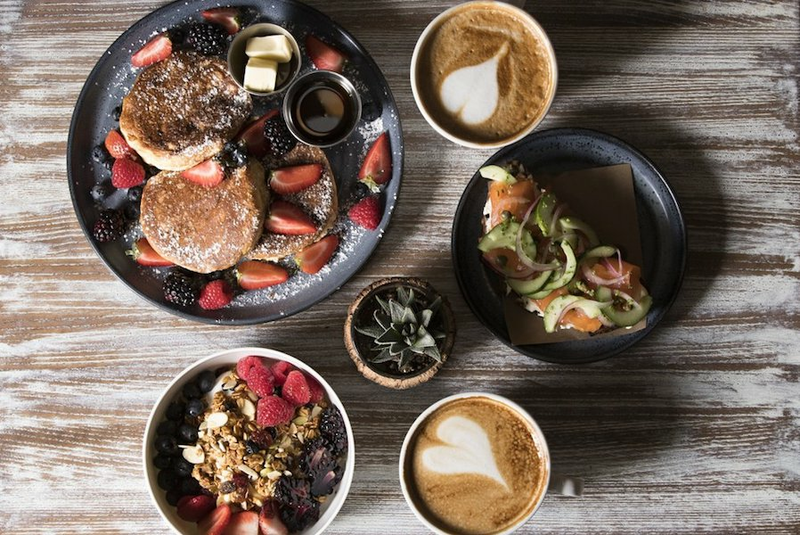 Another newcomer, Nomad Cafe & Eatery is a brunch spot, offering breakfast foods, coffee and smoothies. The menu features breakfast tacos with eggs, pico de gallo, avocado and cheddar cheese, brioche French toast with banana and cream Nutella and an egg sandwich on a bagel with ham, turkey or avocado. Nomad Cafe & Eatery currently holds five stars out of six reviews on Yelp, indicating a good response from visitors. Yelper Luana F., who visited Nomad Cafe & Eatery on Feb. 22, wrote, "Place is cute. Staff is always nice, and the food is tasty. ... There's outside tables and water for your dog. They also have vegan options!" Yelper David M. wrote, "One of my favorite cafes. The coffee americano is one of the best. If you're hungry then this is the spot for you. The food is delicious." Natura Cafe currently holds three stars out of four reviews on Yelp, indicating fair reviews. Yelper Yvonne N., who reviewed the eatery on March 16, wrote, "Natura Cafe is a great new heathy addition to the neighborhood! They have a tons of delicious, healthy options. I ordered the avocado toast, and it did not disappoint. Definitely walk in and try this place out. " Natura Cafe is open from 7 a.m.-9 p.m. daily.